Academics and learning hard skills makes up only one part of the education process. These days, many jobs require soft skills not readily taught in the classroom. Here, 2017 Red Bull Amaphiko Academy participant, Randy Mampuru tells us about Kidz Hub, and how they are teaching kids about commitment, consistency and sacrifice - all traits that make up great, responsible leaders. Mampuru is a 24-year-old Raymond Ackerman Academy alumni, who studied tourism and project management and is currently a freelancer in the promotions/ marketing industry. Who are the brains behind Kidz Hub? My team members, Mothusi and Hlekani, from an entrepreneurship programme I was once part of, are the ones who actually came up with the name Kidz Hub. We were supposed to create a project and we decided to use kids from my organisation, which is why we decided to call it Kidz Hub. Kidz Hub is an organisation that pays attention to the personal development of kids while taking the academic route and a holistic approach. We are all about instilling life-time skills practically and actively so. For instance, we save R2 everyday towards our writing utensils and books - there's a lot that goes into a 7-year-old to save that R2 everyday. They first commit themselves to saving that R2 (commitment is instilled) and they contribute that R2 everyday (consistency is instilled). They don't buy snacks along the way/ spend the R2 during the day (sacrifice is instilled), not forgetting while they practicing the above, they are practicing leadership, initiative and responsibility. We have created spaces where kids can come be assisted with their homework by our volunteering university students.This we do because we identified that a lot of the kids had no one assisting them with their Homework when they got back from school so we decided to help the parents with that. 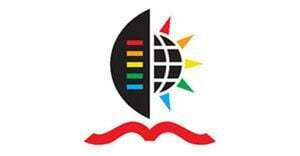 We are planning on taking Kidz Hub to every township in SA and involving the community and the parents a bit more, while also creating relationships with local business and university students. 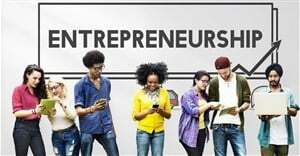 How important do you feel it is to be introduced to entrepreneurship and innovation at educational level? It's very important because it takes you back to the basics, which are the most important when running a business or an organisation - and many of us entrepreneurs overlook them because we are too busy running the business/organisation. How necessary are initiatives like the Red Bull Amaphiko Academy to the development of entrepreneurship in South Africa? Initiatives like the Red Bull Amaphiko Academy are very important amongst us entrepreneurs. They provide so much support and very important support, actually, which is coaching and mentoring - no financial support but they are able to show you the light. I love such initiatives. They must get a partner at the early stages of the business/ organisation. They must not do/start business alone - they'll burn out!